This is a photographic ode to Factory 20. Factory 20 is a website retailer based in Virginia who sells a robust collection of antiques, art, objects and high design furnishings. The pieces are exquisite and substantial with incredible mood-setting photography. If you're looking for a one-of-a-kind wedding gift and you want to shell out a bit, this site has some incredible ideas. If you're not wedding gift shopping, you will probably love scouring the site for impeccably weathered finds that are likely to make it on your oh-please-someday wish list. I couldn't resist highlighting a number of the wonders I spotted during my first browse, such as the Studio Industrial Floor Lamp from the 1930s or 40s, pictured above, for $540. 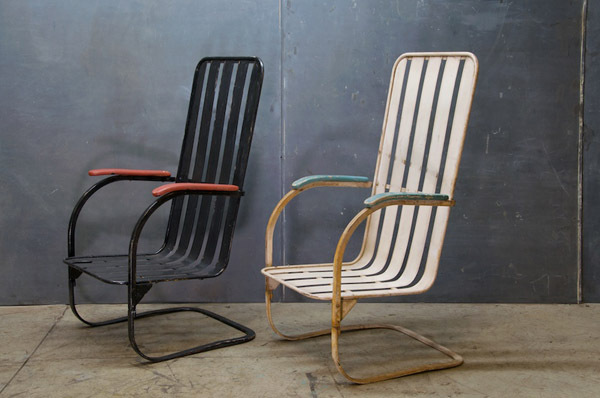 1940s Lloyds of Susses Boardwalk Highback Chairs, $600 each. French 1940s Factory Cotton Gin Barrels, $425 each. Primitive Cafe/Saloon Table with Slate Top, $1475. Early Century Crane Stationary Box, $145. Vintage County Clay Painted J. Friedrich Moonshine Jugs, $125 each. Tiffany Cast Iron Lily Smoking Stand, $485. 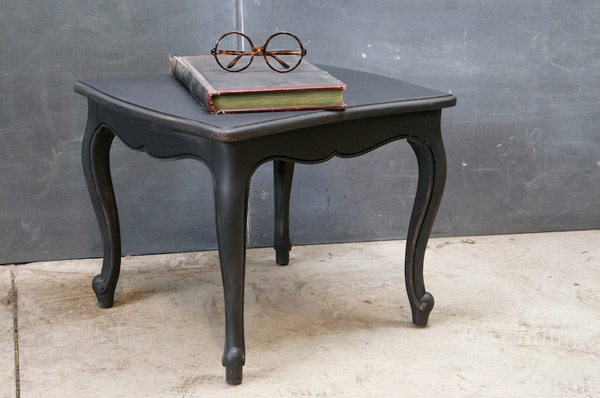 Sculptured Leg End Table, $360. There's a whole lot more where these came from. Visit www.factory20.com.